Episode 171! Donna and Wes Scott have a nice stay with Field, and then hang out to talk about Westeros, Whedon’s wife, and Clowns. donna scott productions, the Harvey B. Gantt Center and Charlotte Art League come together for Eat The Runt, a comedy by Avery Crozier. 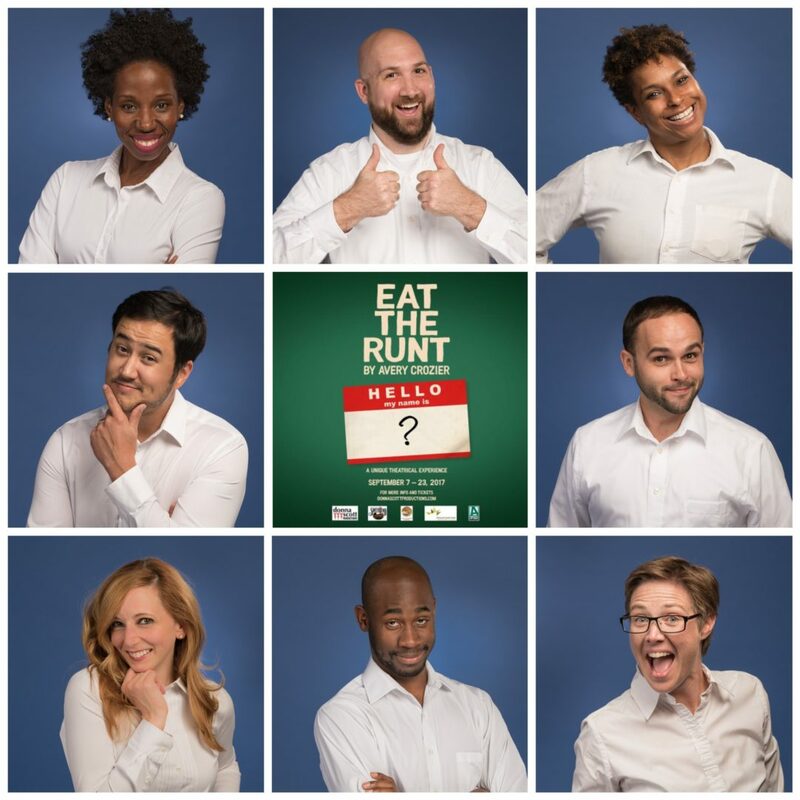 Providing a completely novel and participatory theatre experience for Charlotte audiences, Eat the Runt requires that all eight actors in the cast learn every role and audition for the audience before each performance. The audience will cast the show using their smartphones and watch as the actors they cast deftly play out one of the over 40,000 possible casting combinations. The plot of Eat the Runt follows Merritt, a grants manager candidate, through a series of increasingly bizarre interviews for a position at an esteemed art museum. Eat the Runt focuses a sharply comedic eye on the themes of political correctness, office politics, sexual harassment, religious persuasions, and societal and cultural norms related to gender and race. The result is a unique, hilarious and sometimes surprising performance that will never be the same show twice. ***Performance suggested for 18+ due to language and adult comedy. Cast: Kevin Aoussou, Tracie Frank, Jennifer Grabenstetter, Andrea King, Erica Ross, Stephen Seay, Kevin Shimko, and Stephen West-Rogers. donna scott productions is a theatre and arts production company based in Charlotte, North Carolina, founded in 2005 by Donna Scott. Their mission is to provide Charlotte audiences, artists and collaborating partners with unique and diverse opportunities for creative experience and expression. ← Episode 170: Great Scott! It’s Donna & Wes!